Welcome to a community that offers a resort lifestyle every day. The 70,000-sqm recreational lagoon with white sandy beaches is a place for everyone to look forward to, splash around, and indulge in their favourite water or beach activity. 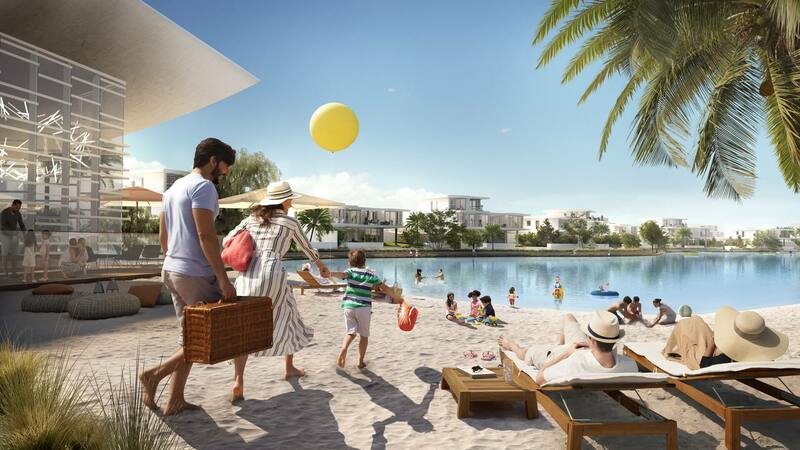 Located at the heart of Tilal Al Ghaf, The Park is where residents can connect with nature amidst beautifully landscaped trails, and through exciting events lined up all year round. There’s plenty to look forward to: An Amphitheatre overlooking the lagoon, a picnic and barbecue spot, water-themed children’s playground, outdoor markets, bootcamps and fitness sessions, giant games, music festivals, open air cinema and more. The soft, inviting white sands make the beach a common ground for everyone to relax or be active. Along with sunbathing and water activities, you can enjoy purpose-built barbecue areas, an outdoor gym and a range of beach-friendly sporting activities. Or you can simply go for a stroll and watch the sun set. Water and earth are your playground. © 2019 Tilal Al Ghaf. All rights reserved.